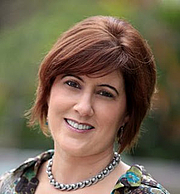 Kara Lennox is the pseudonym used by author Karen Leabo, for all her books written since 2000. Books written between years 1989 and 1998, were published under her legal name, Karen Leabo. Kara Lennox is currently considered a "single author." If one or more works are by a distinct, homonymous authors, go ahead and split the author. Kara Lennox is composed of 2 names. You can examine and separate out names.